As a professional basketball player who has experience with many various CBD products, I can confidently say that cannabis has a place in athletics. Cannabidiol (CBD) is just one of the many cannabinoids found on the cannabis plant that has medicinal benefits, and an astounding number of these medicinal benefits pertain to athletes. 2018 has been a momentous year for cannabis in sports so far as the World Anti-Doping Agency has officially taken CBD off its banned-substance list, and cannabis has increased its notoriety even more than ever before. If you are interested to know more about why I believe cannabis has a place in athletics and the lives of many athletes, keep reading below! What is CBD, and Why Is It Important for Athletes? CBD is the short-form of the cannabinoid cannabidiol, one of the many compounds found on the cannabis plant. 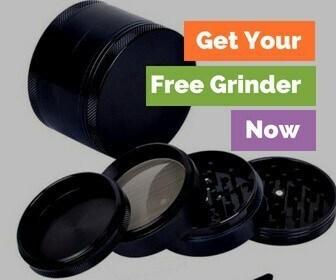 Over the past year, CBD products have become increasingly popular throughout the United States and the rest of the world as they are a completely legal part of the cannabis plant. Unlike the cannabinoid THC, CBD products do not cause any psychoactive effects. Not only is CBD legal per the WADA Banned-Substance list, but they have also been declared safe for use by the World Health Organization. For athletes, CBD products are the first step in acceptance of cannabis in athletics. Rightfully so, athletes such as myself have been slowly turning to CBD products instead of other “medicines” and supplements for their bodies. CBD is an amazing cannabinoid, and it contains a wide variety of potential medicinal benefits. 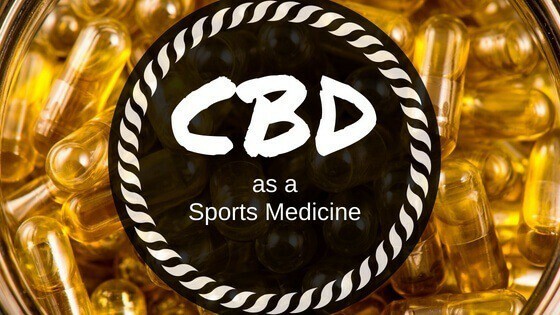 I first discovered CBD products back in the summer of 2017, but it wasn’t until I suffered a serious back injury at the beginning of my most recent basketball season that I began to understand all the benefits of CBD products fully. Back in September of 2017, I suffered a Pars Fracture; a small fracture in my spine. At the time I was playing for a basketball team in Bulgaria, and I was initially misdiagnosed as having only a minor back injury. To deal with the pain, my team put me on a regiment of non-steroidal anti-inflammatory drugs and corticosteroid injections. Not only was this ineffective at treating the pain in my back, but it also caused me numerous negative side effects. After just a few weeks of attempting to “play through the pain,” I returned to the United States to properly manage my back injury. Before I even returned to the United States, I began further researching CBD and started using it as soon as I got home. After weeks of ineffective pain management, I noticed the pain in my back to be reduced staggeringly within just a couple days of utilizing CBD products. Honestly, I couldn’t believe how well they worked! Another issue that the CBD products helped me deal with is the rare neurological disorder Tourette’s Syndrome, which has been prevalent in my life since I was 9 or 10 years old. Throughout my basketball career, injuries have always caused a “flare-up” of the motor tics associated with Tourette’s Syndrome for me. As you can probably imagine, this back injury caused some of the worst episodes of twitching I have ever experienced. Not only did the CBD products help me manage day-to-day pain, but they also noticeably reduced the twitching I was dealing with. For these reasons and many more, I will always be a strong believer in the benefits of CBD products. What Are Some of the Benefits of CBD Products for Athletes? As my personal experience has shown, there are many uses for CBD products for athletes. I am sure there are not many other athletes who suffer from Tourette’s Syndrome, but there are tons of other benefits of CBD for athletes. First and foremost, CBD is the most powerful pain-reliever I have ever used. Not only is CBD a more effective pain reliever than any NSAID (in my opinion), it is also much healthier for your body. NSAIDs have long-term negative side-effects that are unavoidable if an athlete is taking them consistently for the duration of their career. As anyone who has ever played sports understands, athletics is often physically painful. It is no surprise that athletes are often looking for solutions to manage pain, and no one can fault them for that. CBD offers a safe and natural alternative to dangerous medications! Another one of the many benefits of CBD is that it has shown to be effective for managing stress and anxiety. As all athletes know, attempting to compete at a high-level is a stressful job. Not only is the competition itself stressful, but many athletes struggle to control their thoughts and emotions in between competitions. This type of stress and anxiety can cause sleep issues, body issues, eating issues, and much more for many athletes. Cannabidiol is an excellent natural aid for the stress and anxiety that performing at a high-level in athletics naturally brings. There are many other benefits of CBD products for athletes, but these are a couple I have personal experience with understanding! Concluding Thoughts- What is Next for Cannabis in Sports? If you are interested to know more about my thoughts on CBD products and medical marijuana uses, please check out my website AdamKempFitness.com! Although CBD products are exemplary for many issues athletes have, full recognition of medical marijuana in athletics is still a necessity. CBD products have many benefits on their own, but THC is just as incredible of a cannabinoid as well. Even for my condition, Tourette’s Syndrome, research has shown that THC containing cannabis products are a superior treatment option compared with nearly all others. There are many other health issues that athletes deal with which can be improved with the use of medical marijuana, and science is slowly proving this. As more states in the United States loosen their restrictions on medical marijuana, it is only a matter of time before it has a wider-acceptance in athletics as well. It is excellent that the World Anti-Doping Agency has taken the step to removing CBD from its banned-substance list, but this is only the first step in my opinion. Athletes deserve to be able to use cannabis as a natural medication option as much as anyone else, and I strongly believe that the sports world is trending towards this decision. CBD played an integral part in helping me recover from one of the most severe injuries of my career, and I am happy to see more athletes and people in general turn to it instead of other dangerous medications!